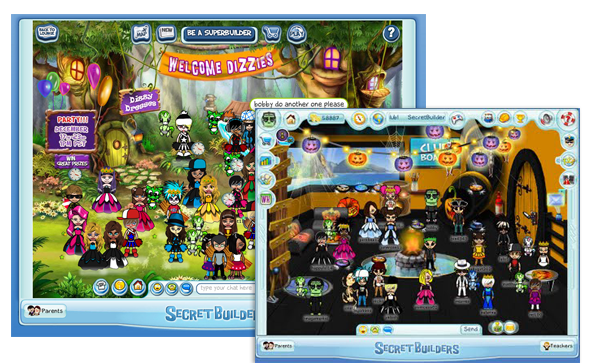 SecretBuilders is a California based developer of online games and mobile apps for children. The company’s flagship product is its SecretBuilders virtual world that currently has over 5 million registered users from more than 190 countries across the globe. SecretBuilders wanted to develop an online community devoted exclusively to children, one that could be used to nurture children’s creativity as well as provide a fun, learning experience; while allowing children to interact and socialize with friends and peers in a secure, controlled environment. Based on this idea, the company decided to create virtual world that would provide a unique immersive experience to children (aged 5 to 14 years), by exposing them to stories, themes and concepts from the best in literature, history, art & music; while allowing them to interact with famous historical and fictional figures in a fun & challenging environment that encouraged exploration and investigation. A world where children can explore virtual lands, undertake quests, play games, enter contests, interact with friends, maintain homes, nurture pets, publish their works (writings, art, videos) and share them with friends and family. Given the size and complexity of the project, SecretBuilders wanted to engage a reliable development partner who could help it realize this idea and bring it to market. The company chose to partner with Folio3 for this project, due to Folio3’s outstanding reputation for delivering quality solutions and its expertise in web based development. After analyzing the project’s requirements, Folio3 assigned a dedicated team to the SecretBuilders virtual world development task, comprising of Graphic Design Artists, Animators, Software Developers and Quality Assurance engineers. This team worked in close collaboration with the client’s software architect and project manager to bring the SecretBuilders world to life. All of the virtual world development and design work was done by Folio3 including character and levels design (based on ideas and feedback provided by SecretBuilders), as well as testing. After 8 months of intensive effort, the SecretBuilders MMO (Massively Multi-player Online) virtual world went live. The site was an instant hit, not only with children but with parents & teachers as well and within a few months, had managed to attract close to a million registered users. Today the SecretBuilders world has over 5 million registered users and is used in more than 1600 schools. It has also won several awards and was selected as one of the Top 10 Websites for Children by Parents Magazine in 2011. The site continues to be further enhanced and maintained by Folio3, with the development team constantly adding new adventures, competitions, virtual events (such as concerts by popular kids’ bands) and other features (mini & multiplayer games, clubs, virtual currency, etc.). SecretBuilders was so impressed with Folio3′s virtual world development and design efforts, that it has entered into a partnership with Folio3 and has also engaged its services for developing a number of educational mobile games for children, some of which are currently in progress. The relationship is now in its fifth year. The SecretBuilders virtual world development and design was done using Adobe Flash (for the front-end) and Java (for the back-end). The mobile games were built using the iOS platform and the Cocos2d engine.